It’s not often a business gets full marks from a satisfied customer, but that’s precisely what Vufold were awarded by Lynne Muffitt when she was asked for feedback. Lynne lives with her husband and two children in a four-bedroomed detached house in Newport, Shropshire. Last year the family decided that they wanted to change the entire layout of their home with the addition of an extension that would dramatically alter the living spaces downstairs. The house originally had a separate kitchen, dining and living rooms and part of the extension plan was to take out some of the walls to create light, spacious and airy rooms. However, Lynne had also taken account of her children and their potential for creating noise so wanted to be able to section off the living room so she could have some peace and quiet. “Originally, we had a pair of double doors separating the two rooms, but we did not want to have another solid divide. 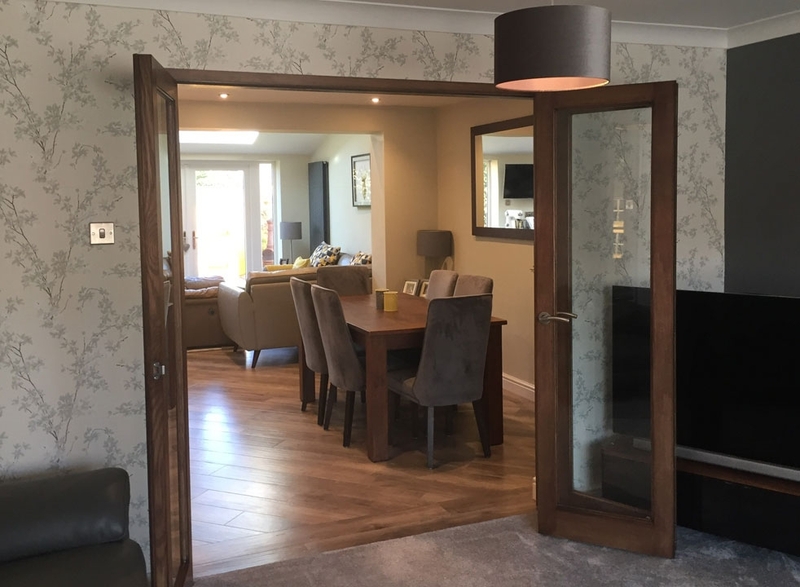 A friend suggested bi-fold doors and when we mentioned that to our builder, he said it would be no problem to create the opening needed for them, which was great. All we needed to do then was find the right doors,” says Lynne. Like so many others, Lynne found Vufold online and was instantly taken with the quality of what she saw on the website, “I’m a big believer in reading up and finding testimonials,” says Lynne “I was really impressed with the quality of the Inspire range, they looked just right for us. The people on the phone were so helpful and the fact that we could see real examples of the doors in real people’s homes sold them to us”. 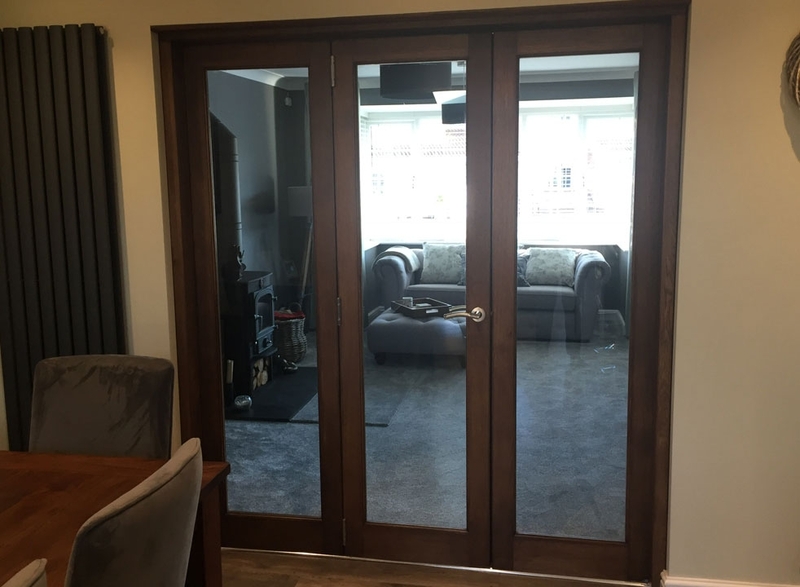 The doors were delivered sometime before the installation date as Lynne wanted to stain them dark to match the family’s existing furniture. This was only one of a few points that made the family choose Vufold. 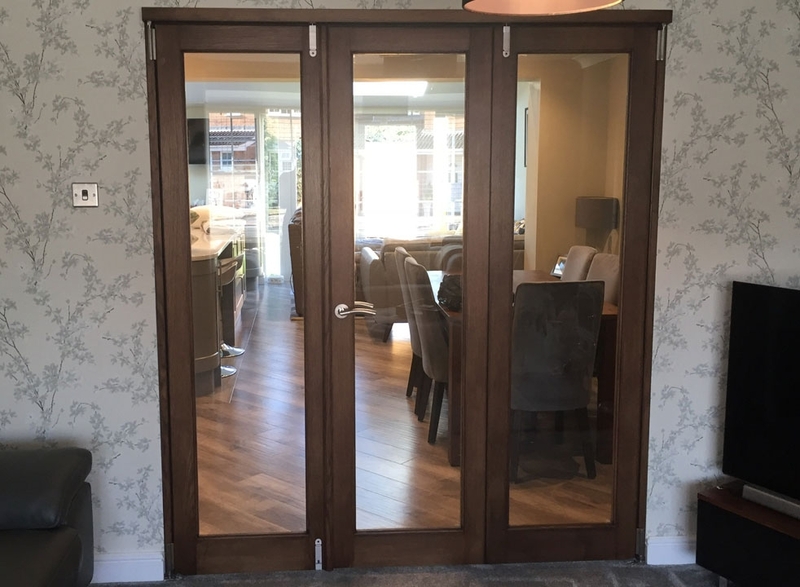 “We knew what we wanted and looked for them, but I don’t recall seeing any other interior bi-fold doors without a bottom runner. This was a really important factor for me, as I did not want the look of the new open floors ruined by a line across the room. One of the things I really liked about Vufold was the service. They even offered to make me bespoke doors in a different style when I could not make my mind up over which range I liked. In the end, we stuck with our first choice, but the fact that they offered to do that really impressed me” says Lynne.